The 240-mile high-speed rail line offers a faster and more convenient alternative to flying. Everyone knows that the US lags far behind most other countries in terms of rail travel offerings, and for many decades, the answer to increased travel demand has been to widen highways or increase flight frequencies. 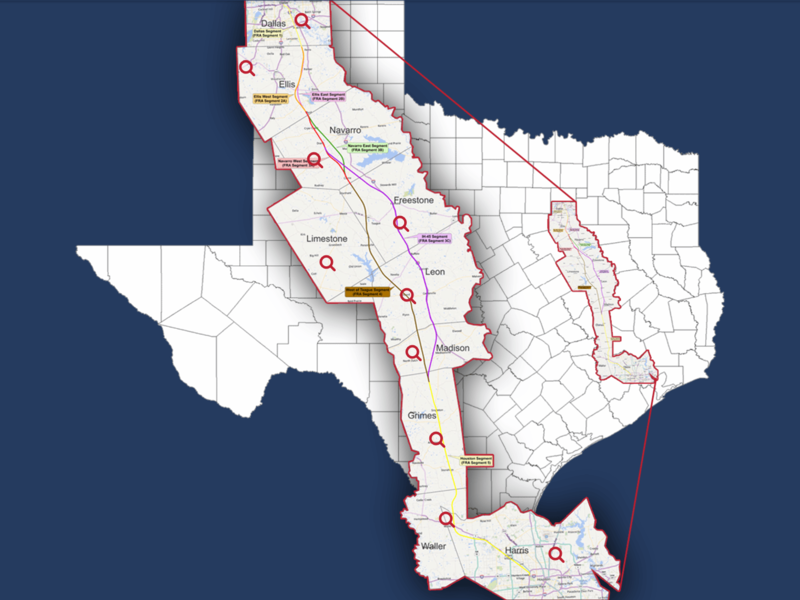 However, a privately funded rail company now aims to grab a piece of the pie when it comes to intra-Texas travel, which could affect the three US airlines that have a huge presence in the state. Texas Central is planning to build a bullet train route that will cut between Dallas and Houston, trimming about 2 hours off the average driving time, and saving over an hour compared to air travel. The approximately 240-mile high-speed rail line will offer a total travel time of less than 90 minutes, with departures every 30 minutes during peak periods each day and every hour during off-peak periods — with 6 hours reserved each night for system maintenance and inspection. 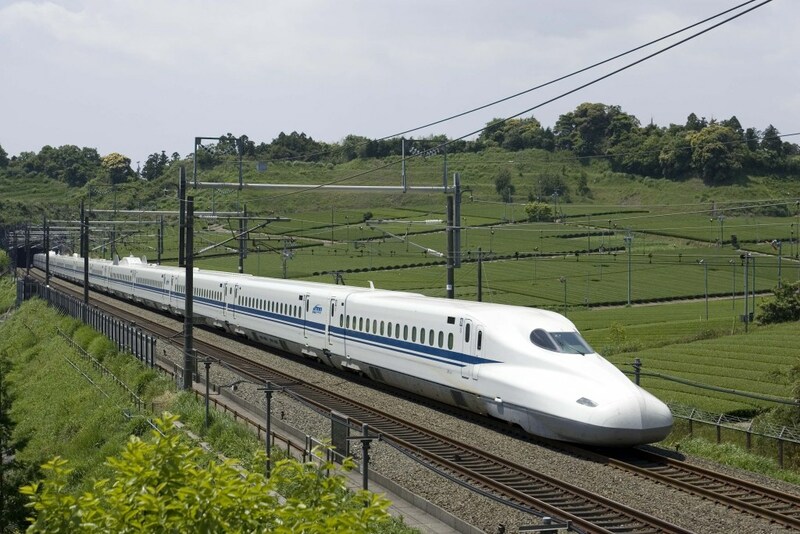 Texas Central plans to deploy Central Japan Railway Company’s (JRC) “N700-I Bullet” high-speed rail system based on the “Shinkansen” system. Looking at flights between Dallas (both DAL and DFW) and Houston (both HOU and IAH), American flies nine daily round-trips from DFW to IAH and six to HOU, while United flies nine round-trips each weekday between DFW and IAH. Southwest flies twenty round-trips each weekday between DAL and HOU. The DAL-HOU route has been a bread and butter route for Southwest since the day it started service in 1971. I reached out to American, Southwest and United to get their opinions on whether the train could hurt business by absorbing some of their commuting customers. American replied, saying it has no position on it. Southwest’s response was typically colorful. Spokesperson Chris Mainz told me Southwest didn’t really have any feelings on the matter but that, “Texas already enjoys a very robust ‘high speed’ transportation system and it departs Dallas Love Field 20 times a day for Houston [Hobby Airport (HOU)].” It’s also important to note that Southwest is an entirely different airline than when it objected to the first proposal decades ago. Its size has nearly doubled, and it’s added dozens of destinations, so if a tiny fraction of its passengers on one route defect to the train, it won’t badly hurt the airline. United did not respond to our request for comment. One can easily see the appeal for business travelers seeking to avoid the hassle of airports and cramped airplane seats with tiny tray tables. Texas Central estimates the need for each train to hold about 400 passengers, which would amount to eight train cars. In comparison, between Tokyo and Osaka, Japan Railway Company operates 16-car trains. As a native Texan who has lived in both Dallas and Houston for 10-plus years, I’ve driven and flown between Dallas and Houston dozens of times, and there’s really not much for scenery, except during the spring when the wildflowers are blooming. The trip takes almost four hours by car on a good day, but a bad wreck on Interstate 45 can easily add two hours to that. The company says ticket prices will be competitive with the costs of air and car travel. Plus, the train is guaranteed to give you a smooth, stress-free ride, with the opportunity to get an hour and a half of work done, without having to worry about storing your laptop and tray table at certain times. The train is also much less susceptible to weather issues than when traveling by air or car. It will have Wi-Fi, so you’ll be able to work or entertain yourself during the ride. The whole project is being funded by investors, rather than state taxes and subsidies. That alone makes it so much more appealing to Texans. The construction start date will depend on permitting. Federal Railroad Administration is currently wrapping up the Environmental Impact Study. Construction could begin in late 2018 depending on the federal regulations. The overall project cost is estimated to be $12 billion, but is expected to bring a $36 billion economic benefit in its first 25 years of service. A ridership study performed by Texas Central found that 71% of those surveyed who had traveled between Dallas and Houston within the past twelve months would “definitely” take the train, and that 90% currently choose to drive because flying saves little to no time. The study also predicted travel within the Dallas-Houston corridor to increase 2% annually between now and 2050.